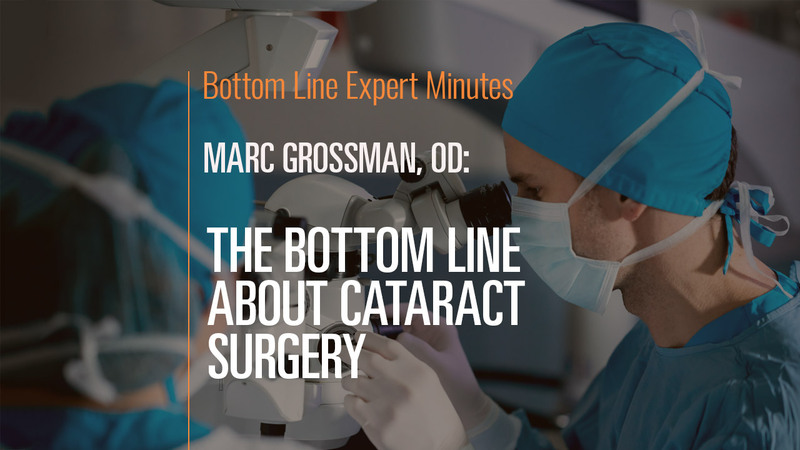 According to Dr. Marc Grossman, OD, LAc, holistic developmental/behavioral optometrist and licensed acupuncturist, cataract surgery is the most common procedure for aging Americans. However, there are many choices to be made prior to the surgery, including decisions about correcting vision issues in addition to the cloudiness caused by the cataract itself. While this is a highly individual choice, Dr. Grossman recommends patients consider optimizing their distance vision during the surgery and urges them not to correct one eye for distance and one for close up as this can lead to problems with depth perception. Ultimately, patients need to be aware of their options and carefully consider which choices will fit best with their vision needs and desires.